If you wanted a special getaway, maybe some acreage for hunting, fishing and enjoying the good life with your family and friends, what would you do if it came with this house? Most folks would probably tear it down, especially after seeing the inside and finding out the foundation was a complete wreck. 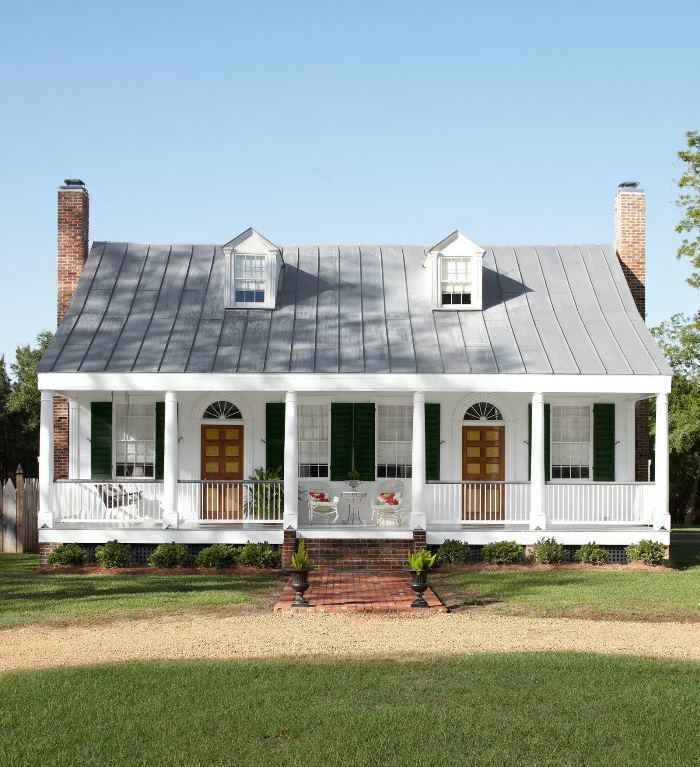 Though Mac Thomas joked, “It was nothing that a match couldn’t cure,” he and his wife, Terre, took on the huge task of restoring this 1820 farmhouse in Fayette Mississippi known as, Laurietta. Restoring the home required lifting it completely off its foundation via a crane, so the necessary repairs could be made to the foundation. This 2,770 square foot house sat on temporary supports for over a year while the foundation was repaired, new insulation was installed and the plumbing and electricity was completely updated. What a labor of love but just look at the results! Both chimneys were rebuilt and the roof was replaced with a hand-crimped aluminum roof. When I first saw the two front doors, the design made me think of a duplex. Then I remembered having read something about how sometimes old homes were built with two front doors. To refresh my memory, I googled the subject and honestly, I’m more confused then ever. Apparently no one knows for sure but there are lot of theories from having it there for symmetry, to extra ventilation, to providing a room that could be rented if needed, to having a formal vs everyday entrance for family and guests. In one of the articles I found online, the author asked a neighbor who had lived in a home with two front doors his whole life (90 years) and he said that one was a formal entrance that his parents only used on Sunday when visitors stopped by. It kind of reminds me of when I was growing up how homes always had a “formal” living room that kids weren’t allowed to go in since it was reserved for company. I’m glad we have mostly moved away from that, although there is something very nostalgic about the idea of company stopping by for tea, ala Downton Abbey. These days I think I’d rather it be iced tea shared out on the swing on my screened porch, instead of hot tea from a silver tea service in a formal living room. You can read a lot more about the theories behind why some homes have two front doors at Old House Web and The Craftsman Blog. If you loved the restoration of the exterior, wait until you see the inside! This was how the entry of the home looked when the Thomases purchased the property. Interesting that it had a door halfway up the stairs. I wonder if that had something to do with ventilation and keeping the downstairs cool. Look at this gorgeous entry now! Just stunning! I love the woven market basket under the table, such a cute touch for an entry. In order to update the electrical and insulation, all the wallboard (is that the same thing as shiplap?) had to be numbered and removed. 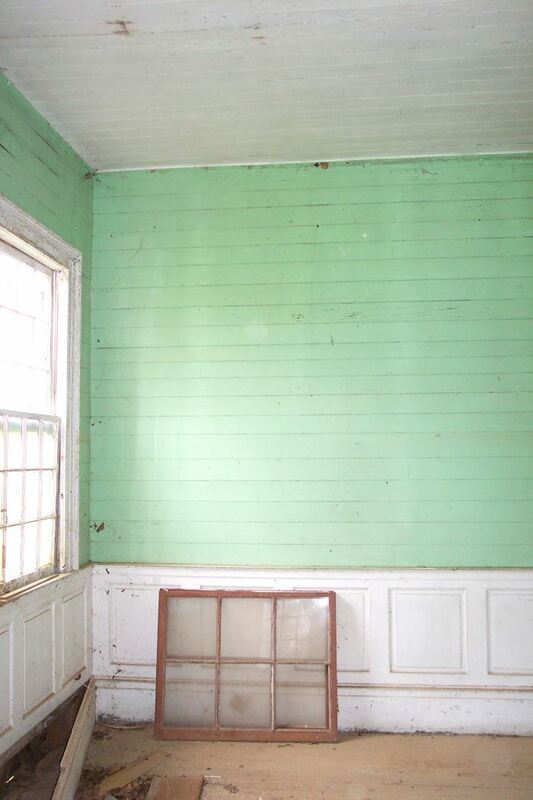 As years and years of paint was removed, the original details of the home began to appear. 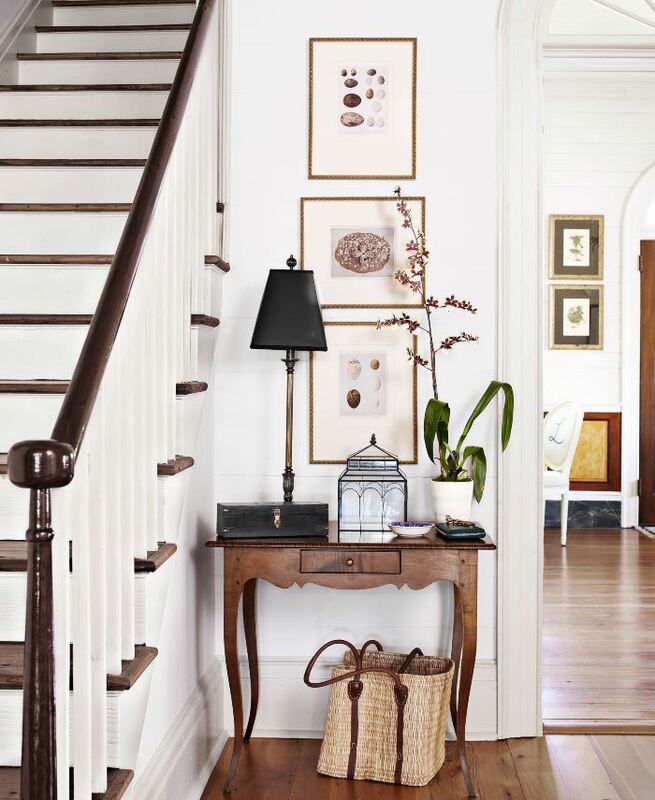 The Thomases discovered the home originally had marbleized baseboards and faux bird’s-eye maple panels beneath the chair rail. Fortunately, these were able to be restored. Isn’t it funny how things sometimes get altered/updated in the name of progress or for the love of the latest trend (think wall-to-wall carpeting) then years later we’re tearing out the carpets and working to return it back to what it once was. It makes me wonder what we’re covering or painting over today that someone will consider a lost treasure in 100 years and will work to bring back. With the aid of a journal kept by one of the daughters of the original owners, the Thomases were able to discover how the home originally looked and what daily life on their property was like. The new kitchen is really beautiful! I wish we could see more of it! The cabinets were painted a Benjamin Moore color called “Gentle Cream.” I’m so making a note of that color because I love how it looks here! 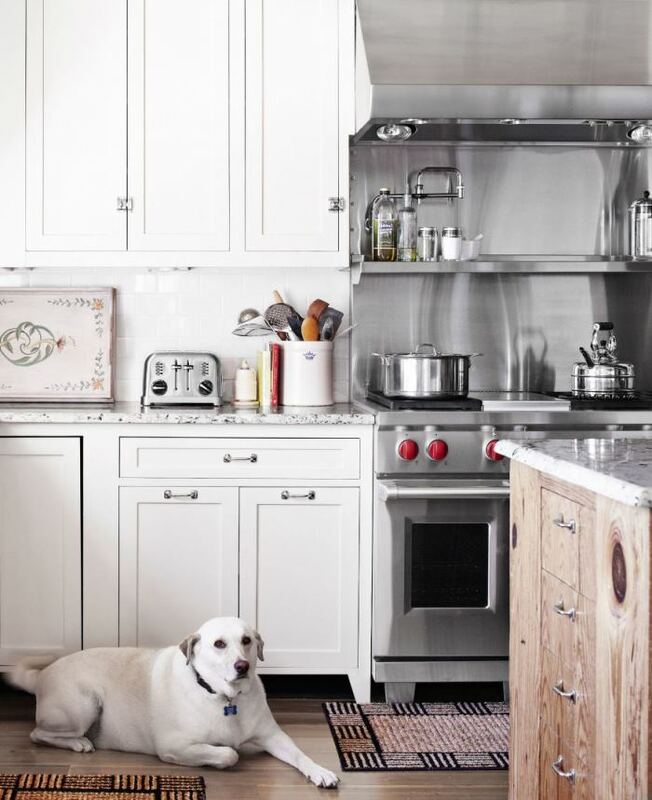 The island was built from Cypress wood that was repurposed from another place in the house. I know from my trip to Louisiana and Mississippi last year, that though plentiful back in the 1800’s, Cypress wood is very rare these days. It’s so nice they could make it a focal point here in the kitchen. Such a cute, cute doggie! 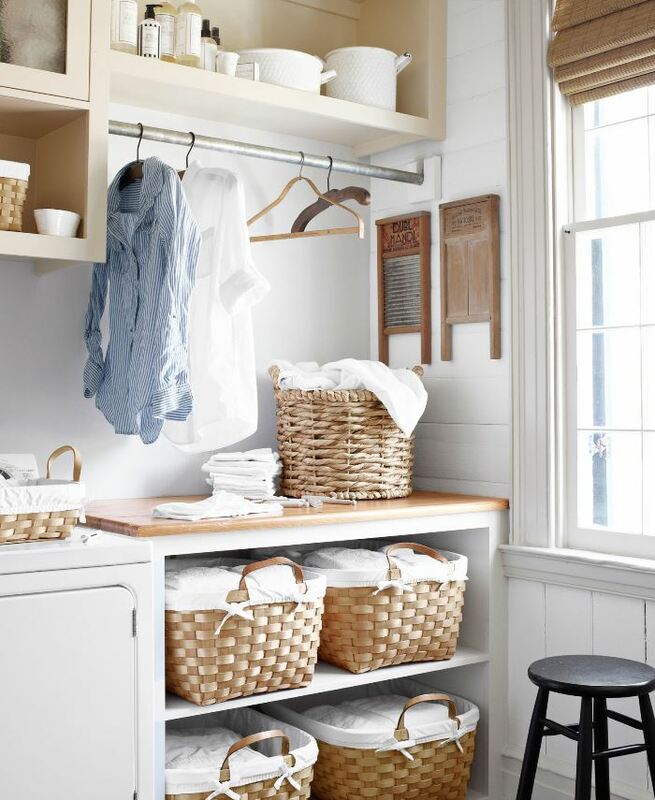 A small bedroom was repurposed as a laundry room. Tere decorated it with her grandmother’s old washboards. We have it so good these days. Can you imagine scrubbing clothes on those?! It must have been hard on the clothes and on the hands! The cute baskets are from Kmart and World Market. I love the quirky, slanted ceilings and plank walls in the bedrooms! You know a room like this is going to be adorable when restored and furnished. while the other bedroom with a similar configuration received a bit more of a masculine design. I love those red & white quilts; they pair so beautifully with the black finish of the beds. They are from the Americana Collection at Dillards. The Thomases added two detached guest cottages on the property since they have a large extended family who like to visit. Love this toile headboard from Pottery Barn! Just beautiful! It makes my heart sing when I see an old home being saved from the wrecking ball. Thank goodness for folks like the Thomases with big hearts and the determination to save a lovely old home like Laurietta. I know she’s breathing a big sigh of relief in having her original beauty restored for all to enjoy. Wow, what a difference. I’m not crazy about the color of the front doors, though. Maybe that is the original color, but I would have chosen something else. But they did a brilliant job. What a lot of work! Well worth it. Old houses need to be preserved. The way most homes are built today I doubt that many will stand the test of time. 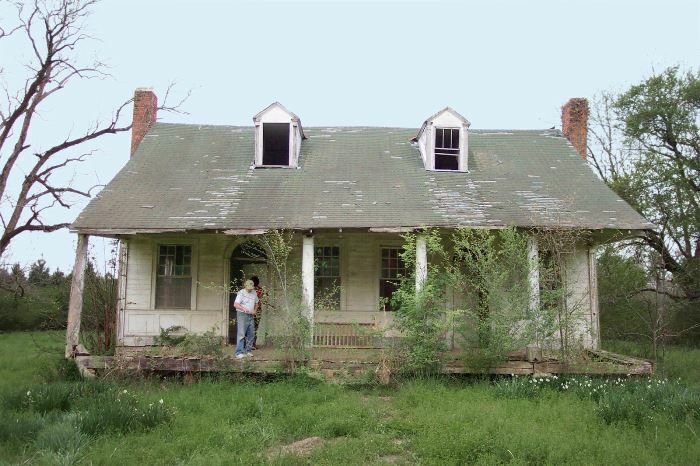 My grandparents farm home in Chattanooga, TN, was similar to the one in today’s blog. It was standing during the Civil War and had two chimneys and two doors as you’ve shown. The left room was more like a den (today) where food was cooked over an open fire and the room was kept warm by that fire. The area behind the right door was more formal. Grandparents bedroom was in-between these two rooms. Out of their room were stairs with a door to the upper area (just as you’ve shown)where the children slept–girls on one side and boys on the other side – no heat at all! The story was told that during the war, a plank was removed in one of the rooms and the mother and children were hidden under the house. Sadly, the home has been destroyed. Look so forward to your blog!! They did an amazing job. I agree with you on all the things we are painting now, many will want to take them back to the original look in the future and may have a lot if difficulty in achieving that. 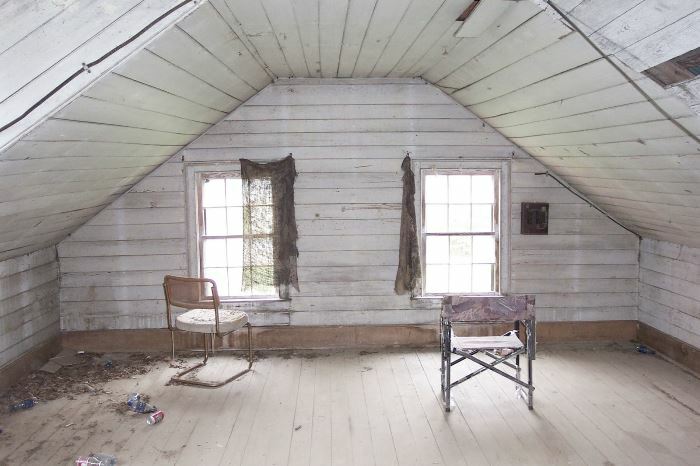 My memory of the shiplap or wallboard I saw in homes growing up in Mississippi was usually a cash strapped family that lived with it (as I did) so I really scratch my head on that desired look. Too funny! Seems like everything cycles back around again…now folks are nailing it on the walls to get the look. Once again, a great “before & after” post. I love this house. 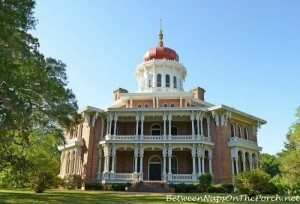 I think I need to find Fayette MS on the map and see if I can swing by on one of my trips to Natchez!!! Sounds like a plan to me! I love the fan lights above the two front doors. I think fan lights absolutely make for a wonderfully inviting entrance. They did an amazing restoration of this farmhouse. What they had to start with was not for the faint of heart. I agree with you about the beds in the guest rooms. 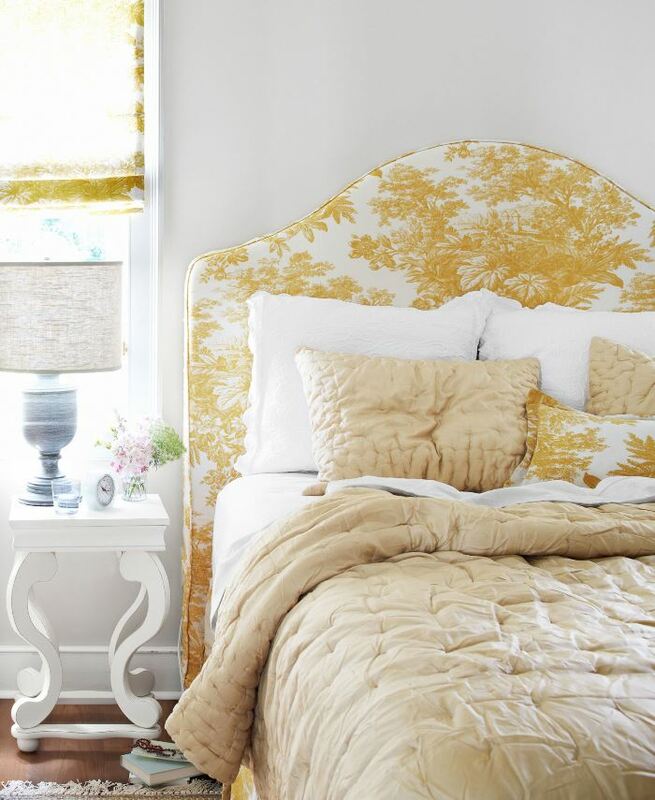 Brass or antique iron headboards would definitely allow more light in the rooms. The kitchen is great. They obviously selected paint to match their dog!!! lol It is my understanding that the stair door was for ventilation. It would be kept shut in the winter to keep the warm air downstairs but in warmer weather, it would be left open so that any hot air would rise leaving the downstairs cooler. 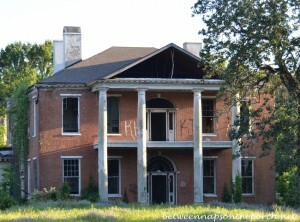 Thanks for another “fixer upper” post! Oh, that makes sense about the door. I like your theory on the paint match! Those people are truly a wonder, altough it is a great place and they uncovered some exciting things about the structure having to redo the foundation, they saw something i am not seeing. I do love old houses and they did a wonderful job. They did! Did you see all the pretty bottles they found at the link? I bet that was exciting finding those! It’s not just big hearts Susan it’s a big account too. I wish I had the money to do this. I would just move from house to house restoring them! That definitely helps. I would love to do this, too. You know, it’s kind of what Nicole Curtis does on her show on HGTV. It is marvelous what they did with that house. WOW ! Reminded me of Chip and Joanna on ‘FIXER UPPER’! The foresight it takes to see what can be made of a house that is so run down is surely a blessing. Wish we would save more old homes and more old buildings. Might cost a bit more but so worth it. In Europe they don’t destroy things JUST because they are old. When I was in college, many older homes nearby had been turned into student rentals. I remember most of these had two front doors, and many still had the door halfway up the staircase, so it apparently was quite common back then. But I don’t remember a single one of them having separate rooms, rather two doors going into one large room, so tearing out a wall must have been common later on! What a beautiful transformation with this one-certainly different than those student rentals so many years ago! I remember where I grew up, a lot of the older homes were cut up into apartments, usually 4 if it was two story house. I hated seeing that done. Thanks for sharing this wonderful restoration. It is so beautiful!! Wow Susan! What a transformation!! I love it when you do this type of post! Thanks so much for sharing it with us! Thanks, Pat! Had to share this transformation. I really admire folks who are willing to undertake saving an old house like that. All I can say is, “WOW” !! !….magnificent transformation! At 2,770 sq ft this could hardly be called a cottage, but is has that cottage look. I just love the arched doorways and the tablescape in the entrance is perfect. I wonder if they had to do lead paint remediation. That must have cost a fortune if they did, but well worth it to save this beautiful old home. Thanks for yet again another awesome discovery/reno!! Another reason there were two front doors on a lot of houses was that another room was added later, but they didn’t always cut a door between the rooms. My 4-times-great-grandfather’s house was like that, including two staircases to go to the bedrooms upstairs, which also did not connect. WQW, Susan! That is the only word that comes to mind. And I remember the formal living room because my mom had one. It had a separate entry from the other living room which was always a mess from the multiple children and grandchildren playing there. I guess it is what it is termed family room now. My husband and I have been slowly restoring a 1952 house that saw many crimes committed against her. I saw this renovation in one of my Country Living issues and LOVED it!! Was so amazed that they took the time (and money) to restore it rather than demolish and start over! They did a remarkable job! Just wanted to tell you, though, that I have a Benjamin Moore paint deck and wanted to check out the Gentle Cream color. The number is OC 96 and is more a beige with a yellow undertone – not like the white it shows here. I have used Cream Froth – OC 97 – in my home and in clients’ homes for over ten years. Cream Froth is the next color right underneath Gentle Cream in my deck. Mayonaise from BM is also a lovely creamy white and very close to Cream Froth. Just FYI. I LOVE BM paints and have used them for both clients and myself, and everyone has loved them. Check it out if you’re interested. Trish, thanks so much for that info! It always seems things appear lighter in magazines than in real life…same for catalogs. I guess it’s the lighting they use. I want to freshen up my kitchen cabinets sometime in the future so I’ll make a note of those colors. I love BM paints, too. That’s what I have on my front door and in my dining room, although I love Sherwin Williams Duration paint for exterior. It’s lasts soooo long! Thanks again, Trish! This was such a delight. I didn’t want it to end. Beautiful job! My great grand parents lived in an old farmhouse with two front doors. One lead into the front room or parlor for company and the other into a little entryway and then straight into a bedroom. Family came into the bedroom side. I have never heard of the one side being for a traveling preacher, but it would make sense with the way they had their home set up as well. This house is so pretty. I had to look at it a couple of times to see that it was the same house. The shutters threw me off. There are none in the first pic and then black in the second. Such a pretty place to live. And just the right amount of landscaping as not to take away from the beauty of the house. I had seen this house before in Country Living, but it’s nice to be reminded of it. I am so delighted when I hear of people who save old houses. I’m amazed, though, that they saw potential with this one. They were certainly visionaries. 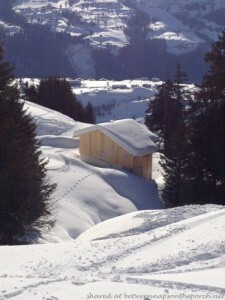 Cottages have no minimum or maximum size. This is definitely a cottage. It is disappointing to see that they chose to cover up windows upstairs with beds and dark shades. That must limit the natural light quite a bit, which is not the thing to do, especially with slanted ceilings, which already makes it dark. They should have put the beds on either side of the windows, or chosen very low headboards, and left the shades off or rolled up, in order to let light into the room. This certainly was a labour of love for them, and it turned out beautifully. Wow! What a beautiful renovation. I had no idea that homes used to have two main entrances but it makes sense that they would have a formal entry and an informal one. What a beautiful beautiful house! 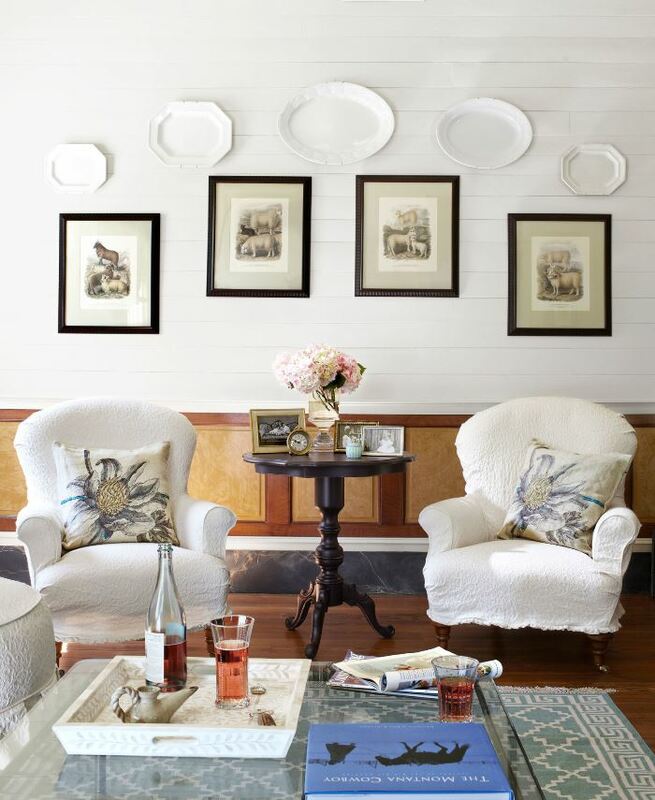 Amazing work on capturing the spirit of this home. Those plank walls and ceilings are swoon-worthy! My home was built in 1895. When we bought it in 1979 it had two front doors. It’s a 2 1/2 story small farm house. Shortly after we moved in I saw 3 older people standing in my back yard just staring at the house and talking so I opened my back door and smiled. Turns out two of them lived here when they were children and were showing their cousin where they grew up. I invited them and learned SO much history of the house. 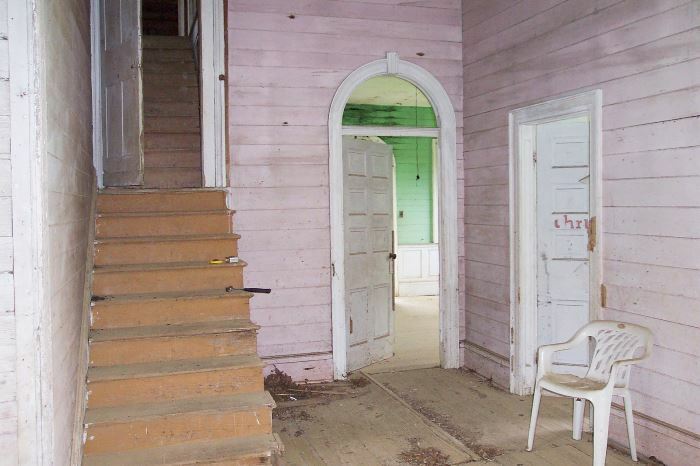 This too has a *parlor* and the one front door opened up into it. They were only ever allowed in there on holidays. The rest of the year the doors to the living room were kept shut. They grew up with an out house in the yard (thank goodness I have a bathroom indoors!). But I enjoyed hearing all their stories of my home. A few years later I found up in the attic on the one wall a childs handwriting. She had been learning cursive and was writing it on the wall. She was a sibling of the two people that came here and passed away a few years back. To this day I have kept it there and never painted over it. 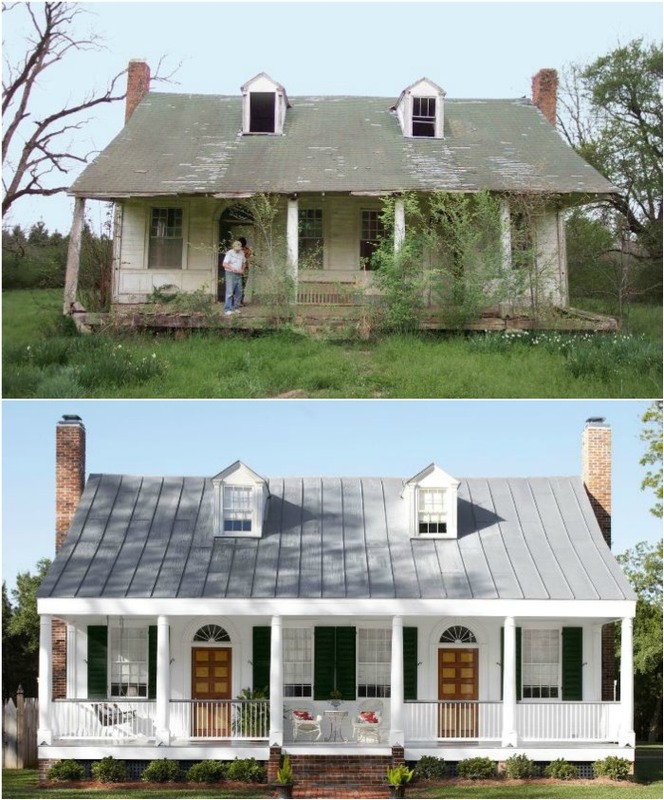 I love stories like this and seeing the wonderful *redo* of these wonderful old homes. Nancy, I just love that story! That is so wonderful that you got to meet them and hear more about the house and I know they must have really appreciated you letting them come inside to see how it looked now. So interesting about the parlor and how they only used it for holidays. I bet that’s where the nicest furniture was, etc.. so they wanted it to stay pretty for special occasions…guess that morphed into the “formal” living rooms I saw growing up where kids usually weren’t allowed to play. 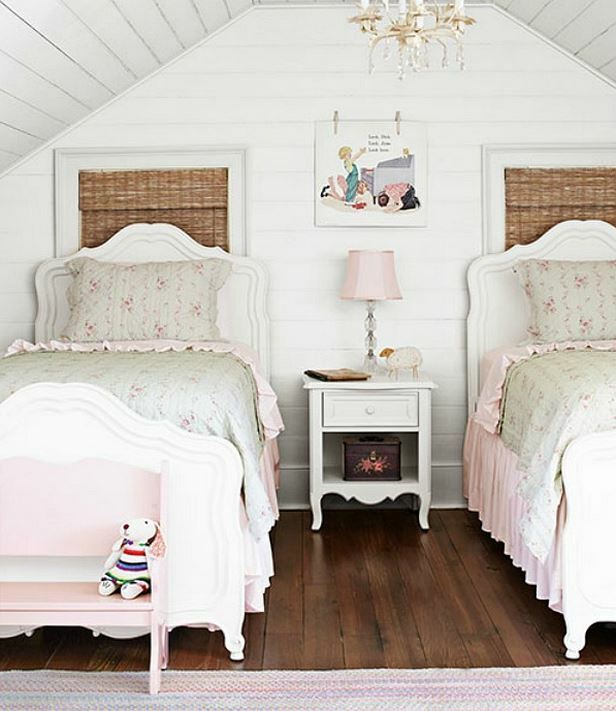 I love the cursive writing in the attic…so sweet! I read a few years back that some schools were going to discontinue teaching it since everyone uses computers now. I hope they never do that. Last year we gave our mother an ipad for Christmas. She was 93. She loves it, and enjoys it when I forward a blogpost that I think she will enjoy. I sent her the Historic Mississippi Farmhouse post this morning, and was amazed to hear that she thought it was the home her great grandmother was born in . She checked with our “family historian” and found out it was built by her great great grandfather, John Pennington Darden in 1820! Thank you for the article – who know it would give so much joy to one reader. Susie, that’s amazing! I bet the folks who own it now would love to hear more about her memories of it. Very cool! This is magnificent. I love the fact that they saw the beauty in this old place and brought it back to life. My friend has two front doors on her house and she said that one was wider then the other so that if someone died they could get the coffin in and out for the wake. I had heard that the other door was used for that, or maybe I read it somewhere. So interesting to see homes built that way. I certainly enjoyed the makeover, but, the upstairs bedrooms with the hi back headboards covering up the windows was not so pretty, I think they should have let the light of the windows in……too dark! As far as the door halfway up the stairs I believe it could have been for 2 reasons, one being heat rises and in winter it could get very hot upstairs. Then it could also keep the noise down if some slept later than others. The door could be cracked to adjust heat or air flow also. My aunt’s house in the Ouachita Mountains of central Arkansas had exit doors in every room. The deep porch wrapped most of the house. It is on a small hill overlooking the farm. Practical use of the multiple doors would have been for ventilation, easy access, and perhaps controlling dirt/mud from the fields. As a child I coveted this house and porch. I am now building a cabin across the road from the house and am using the “old” doors (which had been replaced) in the cabin. Kudos to those who choose to renovate! I would love to be able to contact this couple. I have recently taken on a similar project in East Texas and I would love to be able to ask how exactly they handled the foundation issues. We too need to replace the whole foundation. Just amazing! I love your commentary and every inch of the house! Amazing transformation and great style and charm. Here in Kentucky we have many old white farm houses with double front doors. I have often speculated as to the reason for two front doors.